P02 155 with 10.0m Radius is especially made for women. 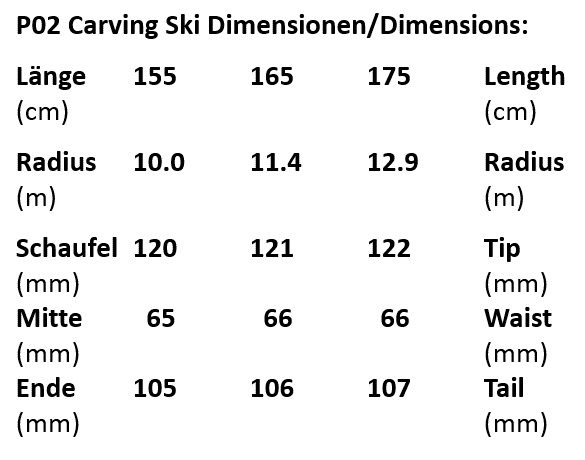 This easy to turn, but super stable ski is famous for his effortless, forgiving handling. EVO 14 Race Plate for an increased power distribution over the edges. World Cup Titanium Sandwich construction with Phenol Race sidewalls for max stability on icy slopes and high speeds. 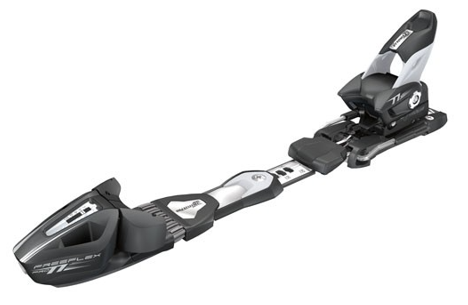 RIDER: This P02 is designed for more recreational-oriented skiers and ski enthusiasts. Effortless, precise turns in the blink of an eye.